KINGSTOWN, St. Vincent – A solid, second innings all-round performance from discarded Windward Islands left-arm spinner Denis George earned Grenada a 212-run victory over St. Lucia in the second round of the Windward Islands Senior 2-Day Championship on Sunday. 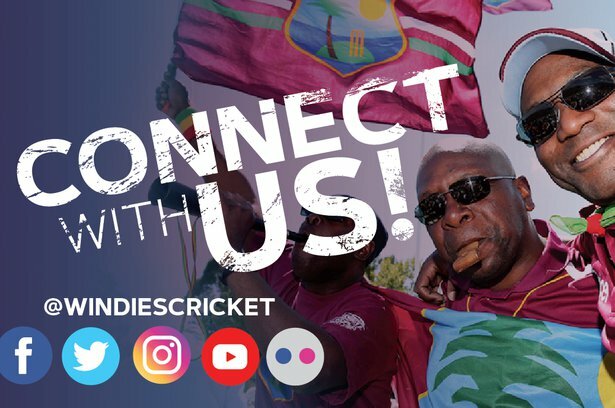 At the same time, opener Desron Maloney hit a century and Volcanoes and Windies batsman Sunil Ambris supported with a half-century to earn St. Vincent & the Grenadines a draw with Dominica. At Cumberland, George followed up a second innings half-century with a destructive spell of four for 16 from six overs, as the St. Lucians were bundled out for 93 in their second innings, chasing 306 for victory. 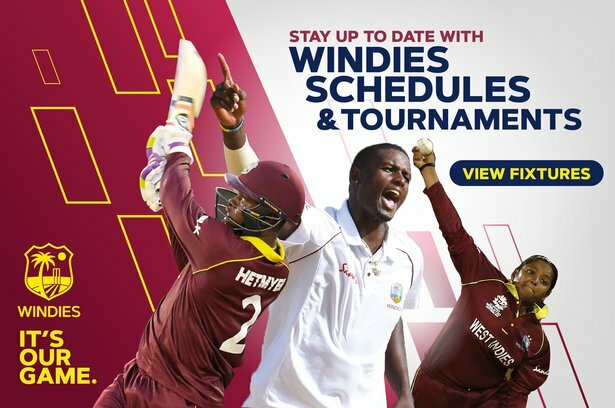 Windwards Volcanoes and West Indies pacer Sherman Lewis took two for 20 from 4.4 overs and Darel Cyrus two for 32 from seven overs to hasten the decline for St. Lucia, whose top scorer was Shadrack Descarte with 35, batting at 10. George led the way with 61, Johann Jeremiah made 58 and Volcanoes and Windies international Andre Fletcher got 57, as the Grenadians declared their second innings on 274 for seven. Volcanoes spinners Larry Edwards, four for 21 from 10.5 overs, and Audy Alexander, three for 13 from six overs, had undermined the Spice Islanders’ batting, as they were bowled out for 146 in their first innings, after being sent in to bat. Lindon Lawrence scored 56 for Grenada, whose bowlers then responded to the challenge and spurred by Lewis, Volcanoes teammate Ryan John and Cyrus dismissed St. Lucia for 115 in their first innings. At Park Hill, Maloney struck 16 fours and one six in 104 from 110 balls in close to two hours at the crease and Ambris made 66 to anchor SVG to 206 for four, in reply to Dominica’s first innings total of 201. Maloney dominated a stand of 81 for the second wicket with Romano Pierre and shared 60 for the third wicket with Ambris before he was bowled by Kevin James. After Maloney’s dismissal, Ambris carried SVG to first innings points before his dismissal prompted the close. On the first day, Kenneth Dember had taken five for 59 from 23.3 overs and Darius Martin three for 25 from 10 overs for SVG to lead the demolition of the Dominica first innings. Kevin James hit the top score of 67 for the Dominicans and a few others got starts without carrying on. The final round of matches starts on Tuesday, when SVG face Grenada at Park Hill and Dominica meet St. Lucia at Cumberland. All two matches in the first round ended in draws with SVG taking first innings points over St. Lucia in the face of a hundred from the visitors’ Junior Henry at Park Hill, and Smith hitting a hundred to give Grenada first innings lead over Dominica at Cumberland. At Park Hill: Match drawn. DOMINICA 201 (Kevin James 67, Jerlanie Robinson 28, Kershaki Jno Lewis 25, Tahj Tavernier 25; Kenneth Dember 23.3-8-59-5, Darius Martin 3-25). ST. VINCENT & THE GRENADINES 206 for four (Desron Maloney 104, Sunil Ambris 66). At Cumberland: Grenada won by 215 runs. GRENADA 146 (Lindon Lawrence 56, Ryan John 24, Johann Jeremiah 22; Larry Edward 4-21, Audy Alexander 3-13) and 274 for seven declared (Denis George 61, Johann Jeremiah 58, Andre Fletcher 57, Sherman Lewis 37, Ryan John 23; Larry Edward 2-47, Dillan John 2-57, Shadrack Descarte 2-69). ST. LUCIA 115 (Junior Henry 26, Stephen Naitram 24, Audy Alexander 22; Sherman Lewis 3-10, Darel Cyrus 3-18, Ryan John 2-8) and 93 (Shadrack Descarte 25; Denis George 4-16, Sherman Lewis 2-20, Darel Cyrus 2-32).